If it's been a few months since their last exam, or you are fitting from another practitioner's prescription, it is well worth re-refracting the patient to ensure that the spectacle correction is up to date. Binocular balancing the prescription means you will start with the maximum plus that can be tolerated in each eye for equality of vision. If astigmatism is at play, determine the best vision sphere. Pay particular attention to any indication that the patient may be uncomfortable having vision fogged when astigmatism is removed in a particular eye. This could predict that distance vision may be unacceptable in soft multifocal lenses, and a toric lens or specialty lens would be needed. Another important consideration is the patient’s habitual working distance; this should be taken into account when fine-tuning the near addition. 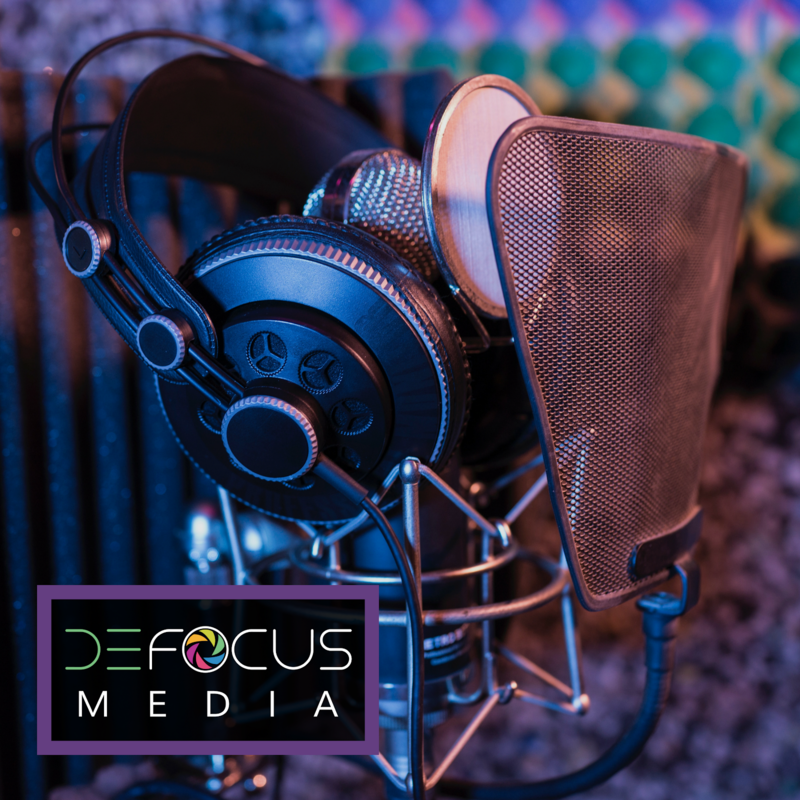 Longer working distances are helpful to be aware of when addressing near needs in the lens. As always, make sure you vertex the distance for prescriptions over ±4.00DS when you select your initial lens. In some multifocal lenses vertexing may not give you the best distance starting place, so make sure you follow the guide for the lens you are starting with. Ocular dominance is defined as ‘the superiority of one eye over the other in some perceptual or motor task." Superiority of function doesn't necessarily mean that eye has better vision than the other eye. Motor Dominance: A common way to measure this is the "hole in the card" test where a patient holds an index card at arm's length with a small hole cut in the center, and then with both eyes open moves the hole so that a distance letter on the chart is centered inside. The doctor then occludes each eye alternatively, and the dominant eye is the one that can see the letter when the other eye is occluded. 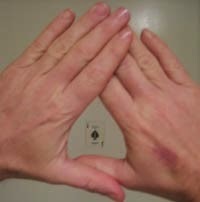 This can also be done by having the patient make a small hole with their two hands, and sighting a letter through that. Sensory Dominance: This is the preferred method for many practitioners since it relies less on patient compliance. Having the patient wear their best corrected prescription and looking at the distance chart, hold a +1.50 trial lens over one eye and then the other. The dominant eye is the one that suffers the most noticed blur when viewing the chart binocularly. If your patient spends more time at near than distance, and is more concerned with clarity of near vision, it may also be of benefit to determine near sensory dominance. To do this, repeat the procedure above with a near card and add -1.50 trial lens to each eye. The dominant eye at near will be the one that suffers the most noticed binocular blur when the -1.50D trial lens is introduced before it. If distance and near sensory dominance differ, then this patient is a great candidate for monovision or multifocal contact lenses. If their dominant eye is the same for both distance and near, you may want to consider making the dominant eye set for the activity the patient deems most important to their day (be that distance or near). It will be much harder to achieve clear vision without a toric contact lens if the dominant eye has significant amounts of astigmatism. Soft multifocal lenses can potentially mask up to -1.25D of cyl, but on the dominant eye it is much more difficult to achieve clarity with anything over -0.75D. In the initial multifocal contact lens selection, equality of vision is the aim so ocular dominance may not initially come into play. As adjustments are needed, and in those patients who have a moderate or high reading addition, ocular dominance becomes a useful tool in finding a happy medium to vision. dysfunction. If not appropriately managed, these issues can lead to symptoms of foreign body sensation, burning, itching, watering,and fluctuating or decreased vision --symptoms that mirror the everyday complaints of contact lens wearers. Tear Break Up Time: This quick assessment is a common measurement for Dry Eye Syndrome. A tear film break up of less than 10 seconds indicates tear film instability. 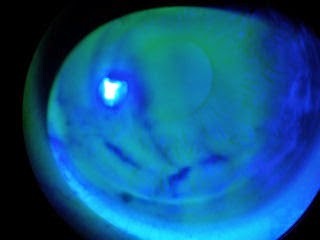 It can be assessed at the slit lamp with fluorescein dye or with a topographer. It is useful to determine what tasks the patient performs in an ordinary day and to fit the lenses accordingly. Success in soft multifocals is seldom a matter of achieving 20/20 vision, as it typically is with distance only contact lenses. Even when the Snellen acuity is not what it would be in spectacles, multifocal contact lenses allow patients to function well without having to wear spectacles. People vary hugely in their adaptation to and tolerance of blur. It is important to remember that one person may think they see great with 20/30 vision, and another could be really unhappy with their vision but see the 20/20 line. As a part of the discussion with patients regarding multifocal lenses, it is wise to point out that there may be limitations to what can be achieved. The mantra is that multifocal lenses will fulfill most of a patient’s visual needs most of the time. As practitioners we should never underestimate what may deemed as successful by any patient as it is both a subjective and patient-specific decision. The fitting characteristics of soft multifocals differ significantly between manufacturers, as well as between individual wearers. Due to their relative design complexity, multifocal contact lenses should not be issued to patients without them first having a proper lens fitting. The initial lens you select based on glasses prescription may provide acceptable vision or very poor vision, depending on the patient's brain responds to the image delivery of the lens. Aim for a minimum of 20/30 vision with ghosting for distance vision in any initial lens that is dispensed. All manufacturers provide fitting guides for their products. Make your life easy by selecting the initial trial lenses according to the manufacturer’s fitting guide. You can find popular lens fitting guides like Biofinity MF and Air Optix MF here on the site, as well as several daily MF fitting guides! Allow the initial trial lenses to settle for about 15 minutes before evaluating them. Encourage the patient to browse around the practice in this time -- judging real world vision instead of letters on the chart is better to initially let the patient experience. Many manufacturers suggest that initial evaluation of vision should be subjective. Ask the patient how they feel their vision is with the lenses. Distance and reading vision should be assessed binocularly. Discourage the patient from comparing each eye individually because it will always look worse this way in multifocals! If the patient reports dissatisfaction with vision then over-refraction can commence to improve vision. Again, this should be done with both eyes open, with the room lights on. Start with small ±0.25 changes. When possible, an over-refraction should be confirmed outside the consulting room looking at a distance target. Better still, take the patient outside and confirm any distance over-refraction. Improvements to near vision should also be performed using ±0.25 steps, ideally while performing a task on a smart phone or tablet. Keep changes to distance and reading to a minimum and always confirm any change to ensure that correcting one area of vision does not have a detrimental effect on the other. It is also worth remembering that multifocal contact lenses are adaptive. It will take a few days before the patient is fully adapted to their new visual environment and things that seemed difficult to see on day one may be much easier by the end of a week. So don’t rush into early changes when, given time to adapt, the patient may well be happy with that first prescription. Subjective scoring can be very useful when assessing when to change or not. As a general guide, when asked to score their distance vision and near vision out of 10 after the initial walk about with the lenses, anything less than seven needs working on before they leave the practice. In most cases, maintaining comfortable distance vision is paramount, especially for critical distance tasks such as driving. In these instances it may be necessary to consider a part-time reading prescription over the contact lenses for very small print or prolonged reading. The fitting of a multifocal lens should appear the same as any other soft contact lens. The lenses should center well, show good post-blink movement and have a smooth return on push-up. The wettability of the lenses should also be noted. The fitting of multifocal contact lenses is very rewarding, creates positive patient perception that may result in referrals, and is a great practice builder. The latest generation of lenses are much easier to fit than their predecessors and the first time success rate is very high. Confidence in fitting increases with practice and inevitably there are going to be a number of failures. It is important to remember that not all patients will be suitable for multifocal lenses. However, don’t give up at the first hurdle. In the same way opticians have access to many designs of spectacle lenses and these are dispensed based on patient need, there are now a number of both daily and monthly design multifocal contact lenses available. If one design doesn’t work, then try another. The fitting guides produced by each manufacturer have been produced after extensive research and it is important that, as well ensuring a good baseline refraction, these guides are followed. With increasing success and confidence will come more challenging fits such as toric multifocals, amblyopic patient fitting, specialized RGP, hybrid and scleral lens types.